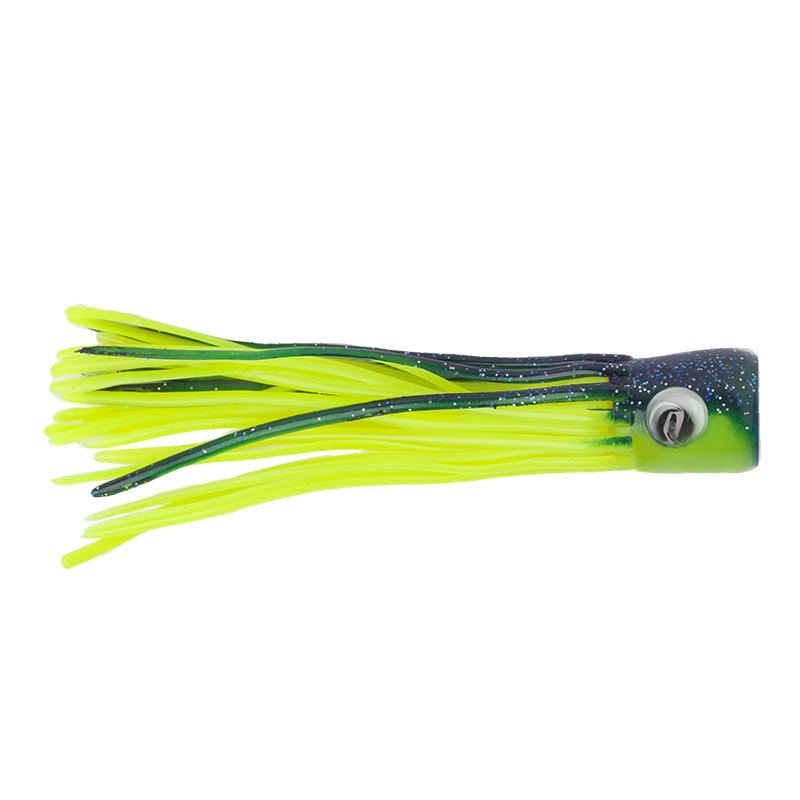 Popular small lure with a life-like soft-action skirt. This is a small lure with a long standing reputation. The jet head has 5 holes which increase the bubble trail through the skirt. 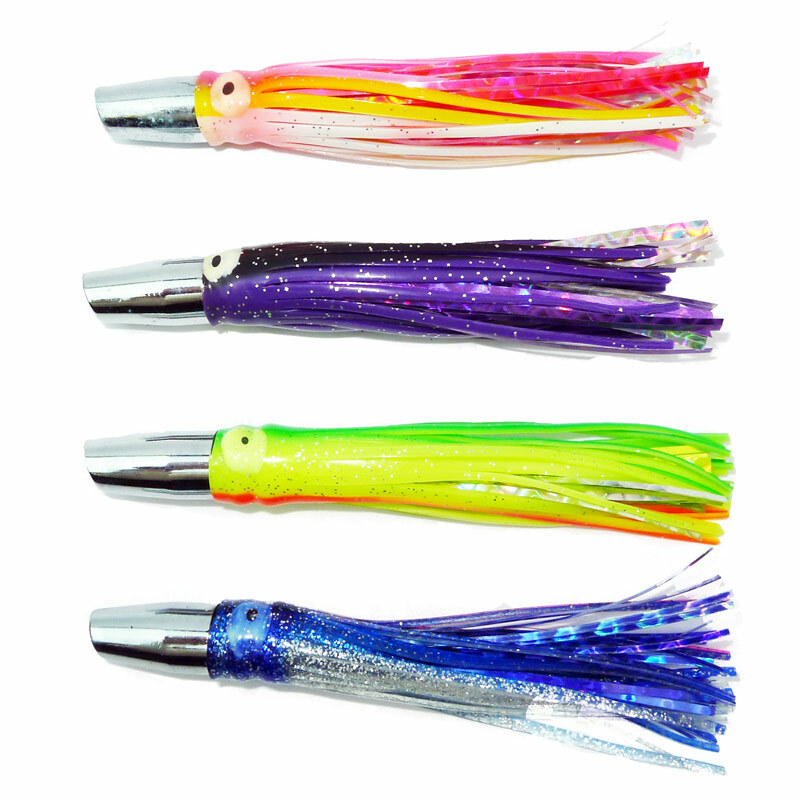 This lure is successful with tuna, dolphin, wahoo and albacore. The soft lifelike skirt incorporates a mylar flash, which is a great trigger for a firm strike. 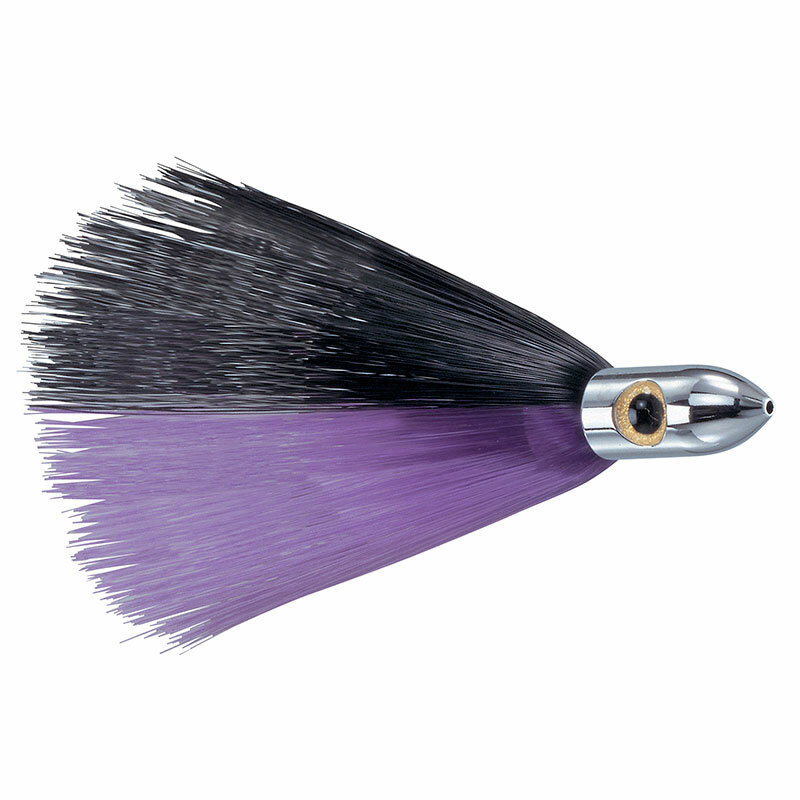 Use this lure on its own or with a strip of fish. Available rigged or unrigged. Head shape - slanted, with 5 jet holes.